Britain's financial watchdog is to investigate the car finance market, with concerns about irresponsible lending. The Financial Conduct Authority (FCA) is also raising concerns about a lack of transparency and potential conflicts of interest. The move follows a rapid surge in consumer credit led by car dealership finance. The FCA said it would assess who uses the products and how they are sold. It will also check whether sales staff are carrying out sufficient checks that customers can afford their monthly payments. The plan has been set out in the annual business plan for the financial watchdog. That follows a report by the the Bank of England's financial policy committee this month, which highlights the risks form the rapid growth in consumer credit. It found dealership car finance has seen the fastest expansion of consumer credit in recent years, followed by credit cards and personal loans. The annual growth rate for consumer credit reached 10.9% last November, before easing over the winter months. That was the fastest rate since 2005, which was the time when household debt was building up to the financial crash. Advances on car loans reached £32.7bn across Britain in 2014. Last year, the industry's trade association said it was running at more than £31bn. More than two-thirds of cars are now financed through finance agreements, not only encouraging sales, but drawing customers back to take out a new finance package on a new model after two or three years. In some dealerships, 90% of new car registrations are financed this way. That way, dealers have a predictable supply of used cars. According to Sandy Burgess, chief executive of the Scottish Motor Trade Association, that could lead to a market in used car finance deals, allowing drivers to take on cars from the age of two or three for a further two years or so. He also told BBC Scotland that he foresees the business model developing to the point that car manufacturers do not lease one car, but provide a service for a monthly fee, for which drivers can choose from a range of car types. He suggested it could mean an open-top car for summer, with the plan allowing a shift to four-wheel drive in winter. A plan similar to that has recently been launched in the USA by Cadillac. For a fixed monthly fee, well-off customers can order from a range of cars on an app, and their choice of car is delivered to the door, depending in the customers' car needs each day or week. John McGuire, chairman of Phoenix Car Company at Linwood in Renfrewshire, said that people felt they owned leased cars in the same way they had their own mobile phone, also funded by a monthly fee. "It's never been easier to buy a new car," he said. "Levels of car ownership have never been higher. Eighty-three per cent of licence holders own at least one car. "Ownership is still very important to people, but if they have the car on a finance agreement, they see that as their car. The same as their mobile phone, they have a monthly payment on their car. "The important thing there is freedom. The car gives them freedom, and they don't want to give that up." The financing of cars is one of the major changes facing the auto sales sector. It is also facing concern about the emission standards of diesel cars. Although there was in the recent past an encouragement to shift to diesel, there is growing pressure to price at least some of them off the road. That is either by higher tax and road user charges, or through a scrappage scheme. The industry believes the most recent diesel engine, known as the euro 6, is in a different league in its emission of particulates of NOx, or nitrogen oxide, compared with previous designs. 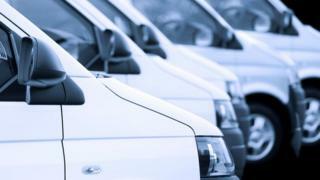 There is industry support for a scrappage scheme for vehicles with older engines, partly because that would spark new orders for new cars and commercial vehicles. But the industry is concerned that the environmental lobby could undermine demand for diesels, when they represent nearly as many car registrations as petrol-fuelled cars - 1.7 million last year. It recently began a publicity campaign to make the case for diesels and counter what are seen as misleading claims against the engines. The other significant shift in the industry is towards electric and hybrid cars, mixing electric with diesel or petrol. Although these represented only around one in 40 new car registrations in Britain last year, British demand for greener cars is higher than much of Europe, and manufacturers have waiting lists. Mr Burgess said of the growth in electric and hybrid cars: "If you look at the growth rate, it's outstanding, it it's coming from a low base. "Where we have to gear up is in the charging technology. There has to be an increase in access to plug-in capacity, available to multiple drivers at the same time. "Also, ownership of a vehicle depends on being able to have it maintained, serviced and repaired. Electric vehicles have some very, very dangerous components within them. That's going to take a serious increase in skill availability and training if the market is to grow to expectations."